What if you could increase performance while at the same time reduce your costs and complexity? The HP FlexFabric 10Gb 2-port 536FLB Adapter for HP ProLiant Gen9 Blade servers gives you high performance 10 Gb converged connectivity with new storage I/O functionality along with SR-IOV capabilities. 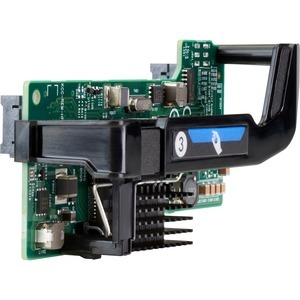 With this FlexibleLOM Adapter you get high performance Ethernet, FCoE and iSCSI, increasing the overall server performance and scalability. While increasing your performance and external bandwidth capability, your budget doesn't have to increase drastically. You can choose the latest 10 Gb technology to match your network architecture as you are consolidating your data center environment. 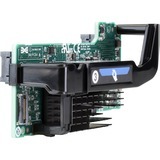 The HP FlexFabric 10Gb 2-port 536FLB adapter is ideal for densely populated BladeSystem data centers running high-bandwidth applications and virtual machine environments, this single Converged Network Adapter (CNA) can connect servers to storage and networks requiring fewer parts and less administration.